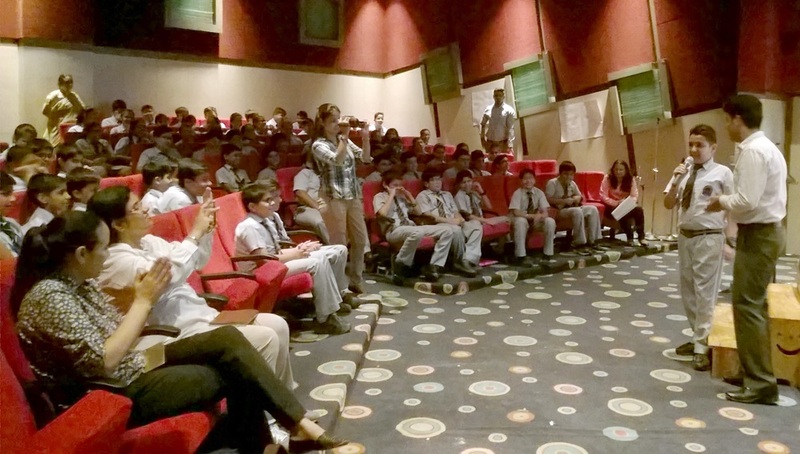 The students of Sri Ventakeshwar International School were given a glance into the fascinating world of Graphic novels by Mr. Lalit Kumar Sharma under the aegis of Campfire publication. He showed the students his illustrations and explained how a graphic novel comes to life. 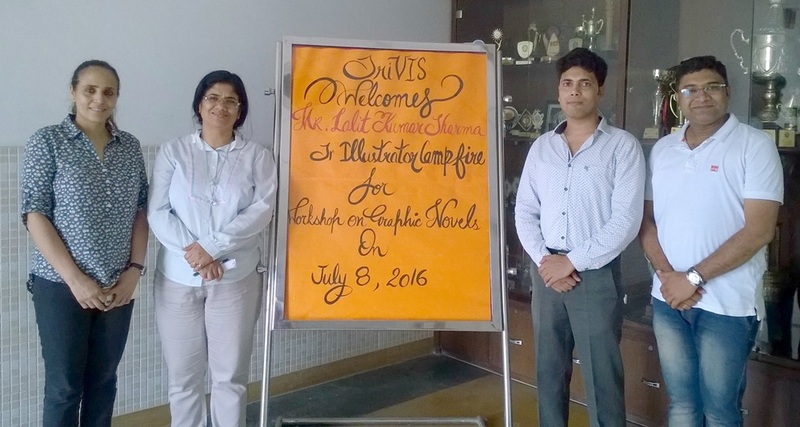 It was a fantastic event and one that really brought to life ‘The journey of a graphic novel’. The distinguished guests were welcomed with eco friendly planters as mementos, an extension of our go-green drive. Ms Nita Arora, the Principal of SVIS in her welcome speech, talked about the beauty of comics in the development of a child. She encouraged the students to take up graphic novel illustrations and shared anecdotes from her childhood to captivate the audience with her spell binding speech. The event was an elaborate demonstration which showcased how an idea takes shape under the talented hands of the artist, the nuances to be kept in mind and overall how a story is brought to life in the form of pictures. 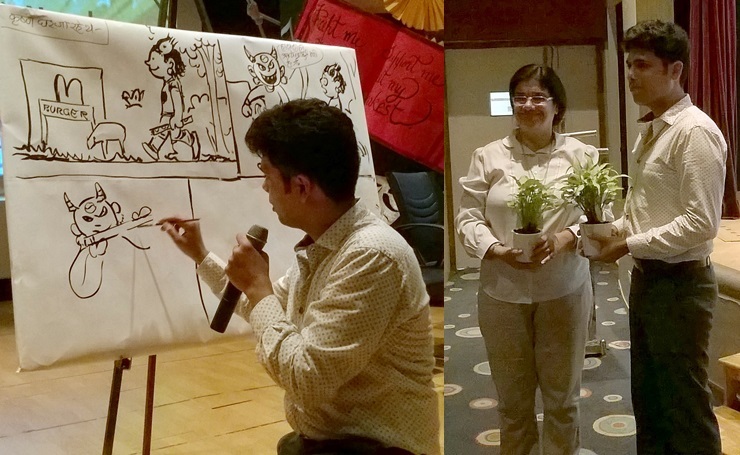 Mr Sharma, created a special cartoon strip as part of the workshop. The strip told the story of modern day Krishna. He kept the students engaged and enthralled. Overall it was a scintillating and beautiful learning experience for one and all.